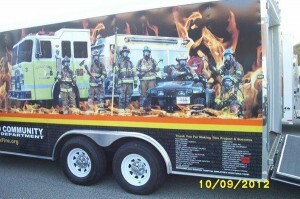 ACVFD’s Special Operations Trailer is a 20ft cargo trailer. 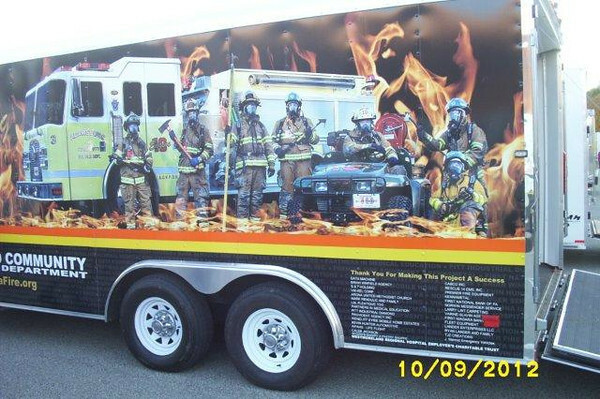 This trailer carries ACVFD’s Gator 10, both of the Gator’s skid units, Cribbing in several sizes, brush brooms, Indian Fighter systems, water extinguishers, a 5000 watt generator, an air compressor, and miscellaneous firefighting equipment. This trailer is towed with the Service Truck and the Utility. It responds on any calls where remote locations are involved and the gator is needed, it also responds to EMS incidents and Fire incidents where the equipment on the trailer is needed.